Women typically struggle with their weight and body image issues much more than their male counterparts. This is largely due to societal differences regarding expectations for beauty in women. However, this is only part of the story. 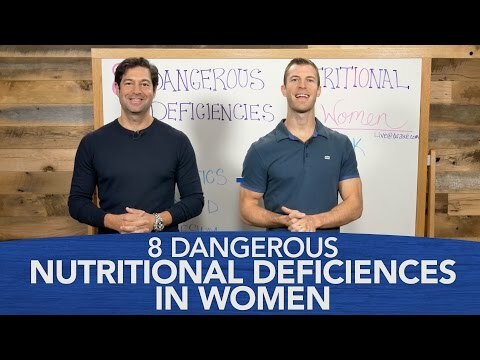 Women�s bodies are scientifically different from men�s bodies, and these differences play a major role in the weight issues so typically experienced by women. Accordingly, guidelines for proper diet, recommended exercise regimens, and general health matters are different for women than for men. Body fat percentage is one of the major differences between women and men. Women naturally have more body fat than men. Typically, women who are fit average about 27 percent body fat, while fit men tend to have about 15 percent body fat. Hormonal changes greatly impact women�s weight issues. The hormonal changes that women experience as they age are significantly different from those experienced by men. The hormonal fluctuations associated with women�s menstrual changes also impact women�s weight issues and dietary needs. Many of the symptoms that women associate with Premenstrual Syndrome (PMS) can be somewhat controlled through dietary changes. For instance, PMS related mood swings can to some degrees be lessened by increased consumption of soluble fiber. Many of the symptoms of PMS are triggered by blood sugar fluctuations. Consumption of soluble fiber helps stabilize blood sugar. So, the next time you are having terrible monthly mood swings, try an apple or some oatmeal. You may be pleasantly surprised to see how it affects your mood. Another way to slow the rate of blood sugar rises as a result of eating involves eating carbohydrates in combination with fat and protein instead of eating the carbohydrates alone. There are a number of health conditions that affect women at a much higher rate than men. These conditions include fibromyalgia and arthritis. Just like some PMS-related symptoms, diet can have an impact on the symptom episodes experienced by people who have these conditions. It is believed that food allergies that women may not even know they have can worsen the symptoms associated with such conditions. Women who have these conditions should be tested for food allergies and implement dietary changes to eliminate allergens from their diet. They are likely to be pleasantly surprised to experience a lessening of symptoms in terms of both frequency and duration. In is not uncommon for women who suffer from rheumatoid arthritis to be allergic to wheat. Changing to a gluten-free diet for these women can result in a significant reduction of potentially debilitating symptoms. There is also a strong association between diet and the uncomfortable symptoms associated with menopause. Many women experiencing symptoms related to the hormonal fluctuations of menopause benefit form reducing their intake of sodium. Reduction of saturated fats can have a positive impact on the cholesterol levels of menopausal women to an even higher extent than on men and non-menopausal women. It is also recommended that women reduce consumption of saturated fat and trans fats to reduce the risk of developing heart disease as they age. Other dietary changes recommended for menopausal and post-menopausal women include reducing caffeine intake and consuming wine in moderation. Women�s nutritional needs and health concerns differ from those of men. Additionally, women�s nutritional needs and weight control concerns change as they age. It is important to learn everything you can about diet and nutrition related to your age, life stage, health, and genetic predispositions for developing certain disease conditions.